Wholesome delicious breakfast! Whats not to love? 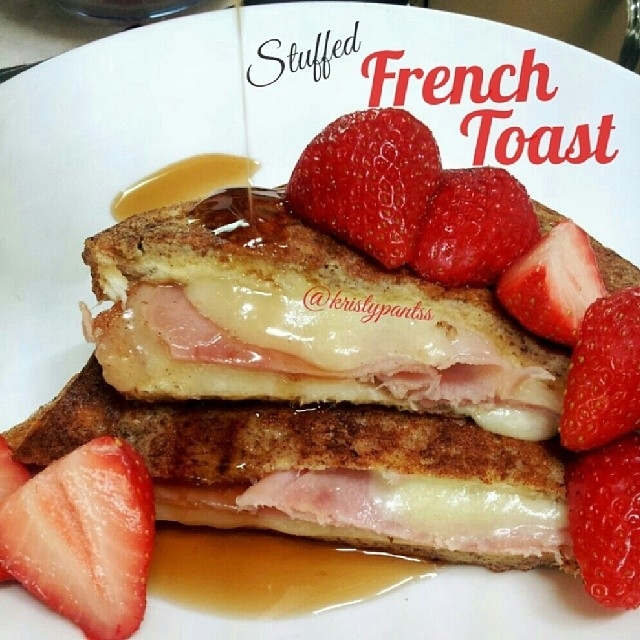 French toast 'stuffed' with extra lean ham and havarti. The 'stuffed' part is a bit of a cheat, as its essentially just dipping and cooking a ham & cheese sandwich French toast style ;) First make sandwich, then dipp it in a mixture consisting of 1 egg white, 1 whole egg, 1t of vanilla, 1T of milk, a generous sprinkling each of cinnamon and nutmeg. Served here with strawberries and Canadian maple syrup!